Help towing a mini I'm buying! Post subject: Help towing a mini I'm buying! However, when I went to transfer my insurance they said they wouldn't let me transfer my insurance as its a classic! I don't want to buy a classic policy as it needs some work and I think it'll take a few months to get it right...! Can anybody recommend a towing company that could tow it from Tallaght to Palmerstown this evening 18/04/2017? Post subject: Re: Help towing a mini I'm buying! Hi Mike did you get a tow truck sorted? I have a guy who tows my cars for me decent price. Im in palmerstown myself Woodfarm Acres. where abouts are you? Hi nutterboy, I got sorted thanks. I meant to update here but have been flat out since! I got a recovery guy to tow it so worked out OK. I'm on glenmaroon Road! Good to know there's another mini guy nearby! Ah good stuff glad you got sorted with the tow truck I must pop down and take a look at what you got and sure if you ever need a hand with anything give me a shout, I'll pm you my number. The both of you are only 10 minutes from me! I got a mini city! Pretty happy with it. I've been looking for about a year and I think this one is pretty decent. Doors need doing a there is a tiny piece around windscreen and maybe a little on one a panel but overall sills etc are excellent. Looking forward to getting stuck into it! Need to get a welder next....! Cheers for all the positive comments and sorry about the delay! 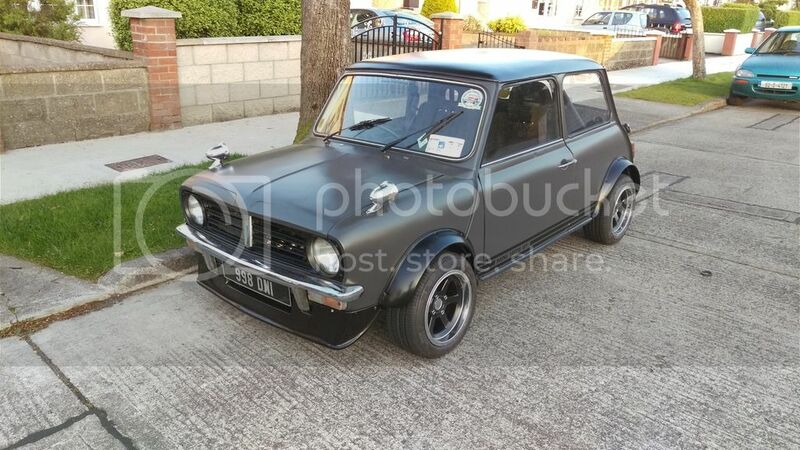 Yeah, that sounds good Andy, good to have somebody local who knows what they're talking about as this is my first mini! You'll both know a lot more than me anyway!